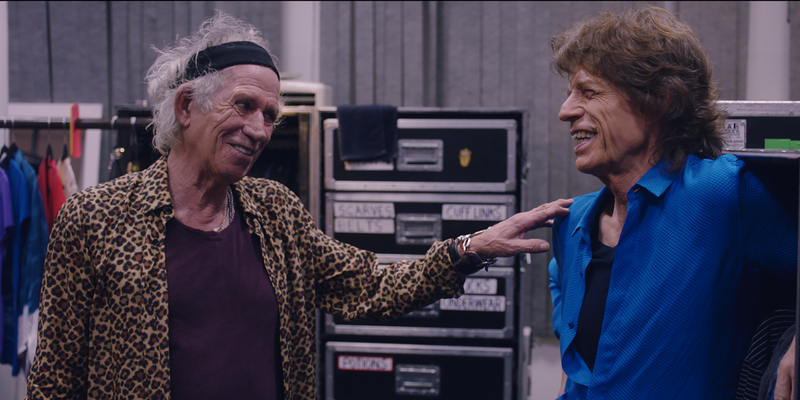 In advance of tonight’s world premiere at the Toronto International Film Festival, CraveTV today announced it has exclusively acquired the new feature film THE ROLLING STONES OLÉ OLÉ OLÉ! : A TRIP ACROSS LATIN AMERICA, which follows The Rolling Stones’ early 2016 tour through 10 Latin American cities, including their historic stop in Havana. The deal was brokered this week in Toronto during TIFF, between CraveTV’s Mike Cosentino and Eagle Rock Entertainment’s Thomas Howe. The feature-length timely film, directed by Grammy nominated Paul Dugdale (ADELE LIVE AT THE ROYAL ALBERT HALL; COLDPLAY: GHOST STORIES; ED SHEERAN: LIVE AT WEMBLEY STADIUM) provides intimate insight into the world of The Rolling Stones. A road movie that celebrates the revolutionary power of rock-and-roll, exhilarating and vivid, the film chronicles the tour, local culture, and unique bond that exists between the Latin American people and The Rolling Stones. As part of the deal, CraveTV also acquired the Stones’ companion concert film, THE ROLLING STONES HAVANA MOON, a concert special from the Havana show, also directed by Dugdale. Today’s announcement also confirmed that following its world premiere at TIFF, CraveTV will be the exclusive first-window home in Canada for THE ROLLING STONES OLÉ OLÉ OLÉ! : A TRIP ACROSS LATIN AMERICA, launching Friday, Oct. 14 and anchoring the service’s popular Music Collection, which features a broad array of documentary and performance specials featuring artists and their music across all genres. THE ROLLING STONES HAVANA MOON will launch in Jan 2017, again in an exclusive post-theatrical window. CraveTV parent Bell Media confirmed that following their exclusive first-windows on CraveTV, the specials will premiere across premium Pay service The Movie Network, and Specialty services Bravo! and MUCH, before getting a broadcast premiere in Canada on CTV, Canada’s most-watched network. Click here for the trailer of THE ROLLING STONES OLÉ OLÉ OLÉ! : A TRIP ACROSS LATIN AMERICA. “Exclusive specials from iconic artists are a huge part of what makes CraveTV an unmatched value proposition in Canada, and they don’t get any more iconic than The Rolling Stones,” said Tracey Pearce, President, Distribution and Pay, Bell Media. “Eagle Rock Entertainment is proud to have screened THE ROLLING STONES OLÉ OLÉ OLÉ! : A TRIP ACROSS LATIN AMERICA at TIFF. Paul Dugdale and JA Digital have produced with us and The Rolling Stones a fine film and we are very happy that Bell Media will be our broadcast partners for Canada,” said Geoff Kempin, Executive Director, Eagle Rock Entertainment. Directed by Paul Dugdale, produced by Sam Bridger (THE ROLLING STONES: SWEET SUMMER SUN – LIVE FROM HYDE PARK; IDRIS ELBA’S HOW CLUBBING CHANGED THE WORLD), and shot throughout February and March 2016, the film is produced by JA Digital in co-production with Eagle Rock Films for Eagle Rock Entertainment and Promotone. THE ROLLING STONES OLÉ OLÉ OLÉ! : A TRIP ACROSS LATIN AMERICA is the fifth title about The Rolling Stones to stream on CraveTV, joining THE ROLLING STONES: SWEET SUMMER SUN – HYDE PARK LIVE(also directed by Paul Dugdale); THE ROLLING STONES: SOME GIRLS LIVE FROM TEXAS ‘78; THE ROLLING STONES: CROSSFIRE HURRICANE; andTHE ROLLING STONES: STONES IN EXILE.